Mill PTC CUS1500MEC fan heater is the newest addition to our Mill family. This super stylish Mill heater has the same beautiful rounded edges as Mill Steel and an elegant aluminium foot that makes the heater appear to be hovering over the floor. Simply stunning! Mill CUS1500MECWA will give rapid heat to your home. 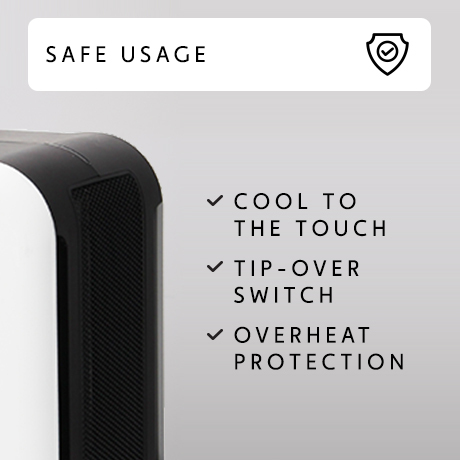 The heater has a total effect of 1500W and with two heat settings: 1000/1500W.